Over the last 4 years I have been to the Allergy & Free From Show as a visitor, exhibitor and speaker. As an allergic person I am personally interested & invested in the show and rooting for its continued success and expansion. However there is one thing I’ve noticed that many exhibitors forget. They have forgotten the most important thing about their customers: they have severe food allergies and or coeliac disease. You might think “that’s ridiculous, how can we forget about our target audience?” Well from personal experience, many businesses do. As an allergy sufferer I know a business is not catering to my demographic (supposedly your target audience) when they cannot confidently tell me what ingredients are included in the food they are serving or the allergen information. Basically they have forgotten one of the most important parts of allergic living, not to mention not following EU rules. For businesses, exhibitions are a brilliant place to interact with your target audience. If free from customers are your audience, the Allergy & Free From Show gather your ideal customers in one place. That’s why you as a business go to exhibitions after all. You can not only reach potential new customers but also connect and build a stronger relationship with your current customers. You can also do market research. Many allergy parents and allergy sufferers want to tell you about themselves, their allergies and their needs. Most of the time companies will pay huge amounts of money for focus groups. The information you can gather at the show is a bonus! Just listen to when I interviewed Elizabeth D Bakes, she confirms that as someone with no allergies herself the Allergy & Free From Shows were invaluable for her business to get to know their customers better! The problem for you as a business is, I will tell my other allergy friends and my customers that your business has no idea what you are talking about and don’t bother trying. In that short interaction you have lost 1 customer for sure, and potentially whoever else I talk to…That could be a lot of customers in a day or a weekend. I acknowledge I may not be your target audience, but if you are a advertising to be allergy friendly in some way, you need to know the facts of your product. If you can be honest about what it is and isn’t free from, I would be more likely to recommend you to someone else I know who might enjoy your products even if I’m allergic. That little bit of preparation to know your product and talk to me, your customer, could have gained you customers. It all comes down to trust. As I have just said, if an allergy sufferers cannot trust you they will not buy from you. Although you may be targeting the vegan market primarily, which usually has more disposable income to spend than the allergy community, to discount the allergy community completely simply on this point would be wrong. The allergy community are the most loyal customers. 1️⃣ For one, allergies are often for life. 2️⃣ Second, when we know a product is safe, we will stick with you. Think about your own life. If you or your child likes a certain food, you will probably buy that brand over another when it’s convenient. On the other hand, if you are dealing with life threatening allergies, if there is only one brand/product that won’t kill you or your child, you will stick with that product. When your friends, family, colleagues or your child’s school ask what they can buy for you thats safe you will say, “product xyz is safe, buy this one, don’t buy others.” Not only that, for allergy kids people will travel for that safe product, which in business terms means super customer which equals £$€. This allergy customer could have found your product at the Allergy & Free From Show. They also now trust you because you took that little extra time to prepare and then talk to them. Now they are shouting your praises from the rooftops and tell everyone they know to buy your products. So you can see what a knock on effect just simply being clear on the ingredients and allergen information can do. Know the ingredients of your product. 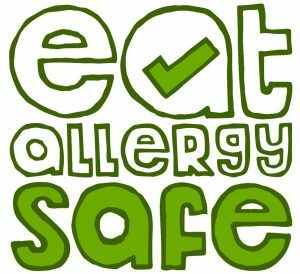 Know the allergen information and potential cross-contamination. Know how each product is manufactured and potential cross-contamination risks (including supplier line). If making fresh food at the exhibition, make sure your staff, after they’ve had a snack break or lunch, do not contaminate the food with allergens! Train all your staff working at the exhibition on the above 4 points! Have an allergen information sheet easily visible for people to look at. Take the time to talk to your customers and answer their questions. Alternatively, for more information or to work with me please send me an email. EAS 071: How to Track Food, Symptoms and Figure Out What’s Wrong with Laura Mulkerne, Creator of The Food Dairy Co.
Laura is the creator and found of The Food Diary Co, the only diary out there to help you track your food and symptoms with the purpose of figuring out what’s going on with your body! I found Laura on instagram and thought the diary is a fantastic idea! I knew I had to get her on the podcast to talk about how and why she created it. So that’s exactly what today’s episode is about. Laura shares her personal food diagnosis journey, discovering her coeliac disease and some other intolerances along the way. She tells me about what she’s learned, how she adapted her lifestyle, diet and how the diary was instrumental to gaining back control. Julianne Ponan is a multi-award winning entrepreneur who at the age of 22 took over the failing company Creative Nature as CEO and within 2 years took it out of debt. She is also a Virgin Startup Mentor and fellow grownup allergy kid. She has multiple severe allergies to peanuts, tree nuts, chickpeas, coconut, aniseed, some perfumes and many other foods. I ask Julianne about growing up with allergies, how she has grown in confidence over the years and how that has impacted her life. From being the allergy kid at her own table, going to University and working in Beijing. Julianne reflects on her experiences of living with allergies and how they don’t have to hold you back and can be managed successfully. We talk about how she has grown Creative Nature from product testing in the kitchen to her products being stocked in Tesco, Ocado, Co-op and soon Pharmacies. I also quiz Julianne on the factory protocols and standards to make sure products are safe, this is one of the companies that I actually trust because Creative Nature products are suitable for Julianne’s allergies (all apart from the peanut bar)! Take a listen to find out more and learn Julianne’s advice for starting your own business.